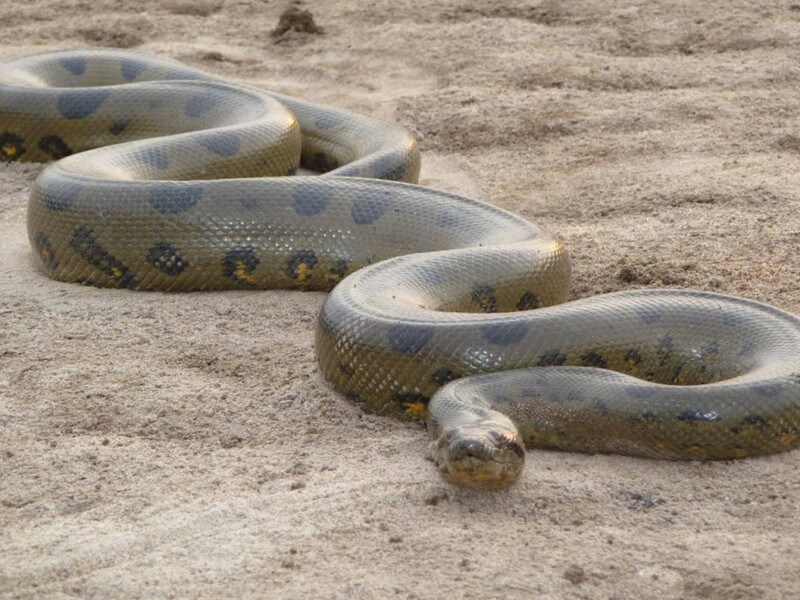 The heaviest snake alive is Eunectes murinus, popularly called the anaconda which normally grows to a maximum of approximately 20 ft (6 meters) in length, but sometimes develops as long as 25 feet (7.6 meters), and weighs approximately 100 pounds (45 kilograms). And, despite extensive searching, and sometimes even cash rewards of $50,000 provided by the Wildlife Conservation Society, no live snake more than 30 feet (9.1 meters) has been found. But, neither the reticulated python nor the anaconda can hold a candle compared to an ancient snake called Titanoboa cerrejonensis. This giant snake lived in tropical rainforests that covered the area that is now the nation of Columbia. It inhabited this region during the Paleocene epoch, between about 60 million years back and 58 million years back. Concerning size, Titanoboa is thought to have grown to approximately 43 feet (15 meters) in length, would have had a diameter of more than 1 meter (3 ft ), and almost certainly weighed more than one ton. Titanoboa, like most other big snakes, has been non-venomous. Titanoboa would lay motionless in wait until victim approached, and then suddenly and without warning, once the sufferer came within reach it’d pounce, wrap itself around its prey. Slowly and slowly, it would tighten its body around that of the victim, until the victim finally suffocated to death.